Leaving the house with either a baby or a toddler can feel a little like moving house, so when you have one of each, you need even more stuff with you for even the shortest of trips. Sound daunting? Fear not! Here is a handy guide to all of the bits and pieces to pack into your bag, plus how to pack them, to ensure that you are not caught out while out and about. Take a look at the video for a peek at what’s in my nappy bag, or read on for full details. Click the button below to download your PDF printable checklist that contains everything you will need to pack to make your day out go smoothly. I have the Pink Lining Twice As Nice bag. It is designed for twins, but also works really well for a baby and a toddler. Before this bag, had the Pink Lining Yummy Mummy bag. It was fantastic with loads of pockets and so hard wearing, it was still going strong after 3 years of heavy duty use. The only reason I changed was that I had baby number 4 and 2 in full-time cloth nappies so needed the extra space. 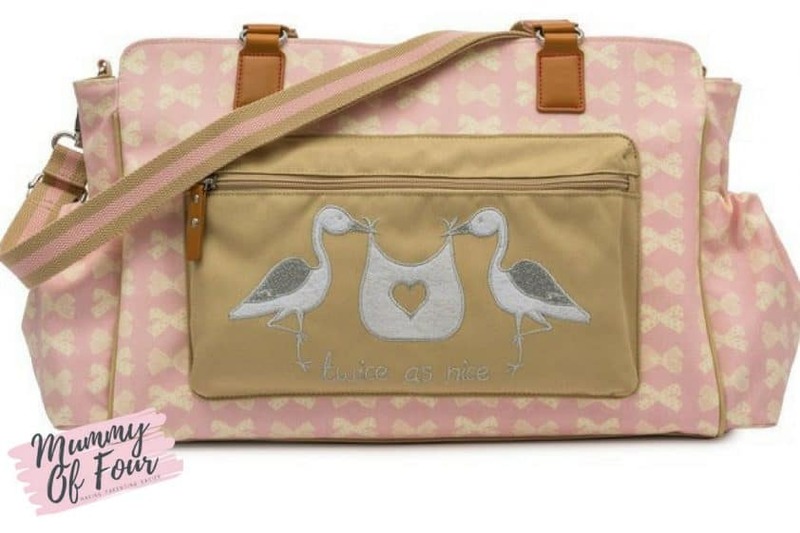 If you have just the one baby, I would definitely recommend the Yummy Mummy bag. Whether you choose disposable or reusable nappies, you’re certainly going to need some. Interested in using cloth nappies? Click here to view my Cloth Nappy Series for everything that you need to know. 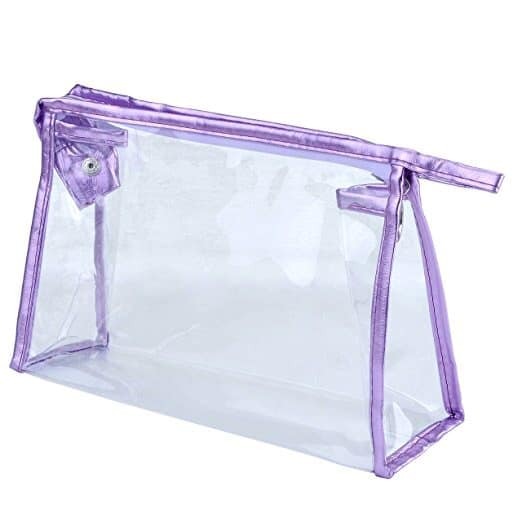 As you will see from the video, I use these clear cosmetic bags for absolutely everything. They are great for keeping things separated and organised. Not only do they prevent the contents of your bag getting covered in any sticky spillages, but it also makes grabbing bits you need for your bag easy too. I would recommend a full change of clothes for your little one. Whether they are little and prone to the odd “poo-nami”, likely to get covered in food, or potty training and likely to have an accident, you will never regret having spares to hand. 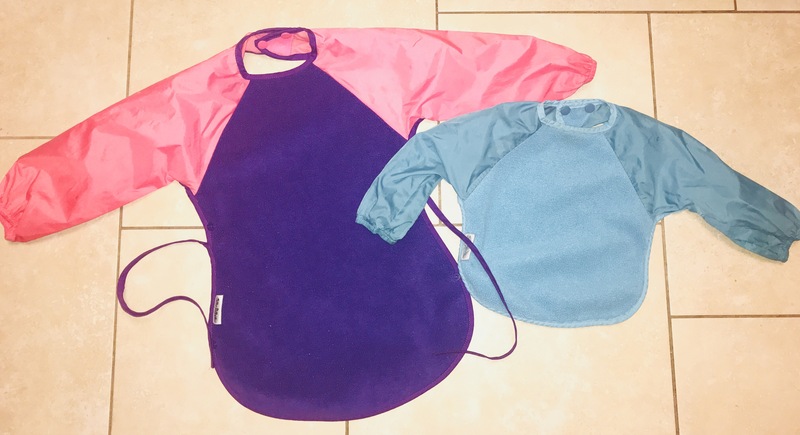 It can often be handy to have a sleepsuit with you for little ones, for those evenings when you are out a little later than anticipated and want to change them for bed before heading home. 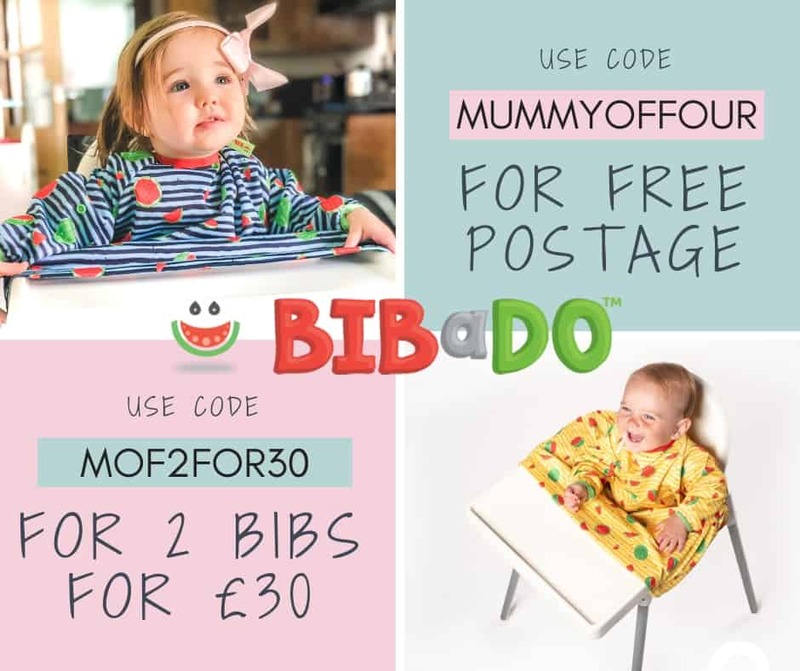 These are ideal for use over a chair when there is no highchair available, or to secure a younger baby into a highchair before they are sitting confidently. I got mine from JoJo Maman Bebe. Muslins are one of my “must not leave the house without them” items. 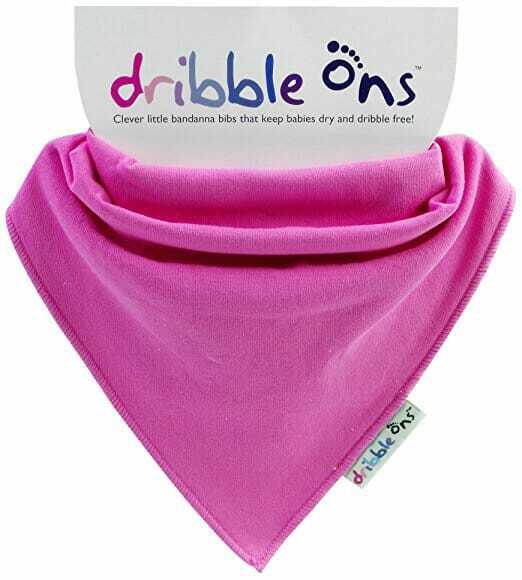 They are great as burp cloths, bibs and so much more. Look out for a blog post coming soon all about all of the many wonderful ways to make use of muslin cloths. Check out my post that outlines 15 Ways To Use A Muslin. We like the MAM dummies. They are developed with orthodontists & paediatric dentists, come in their own sterilising pot and are available in lots of lovely designs. I never leave the house without a little baby toy. A teething toy is a good idea. 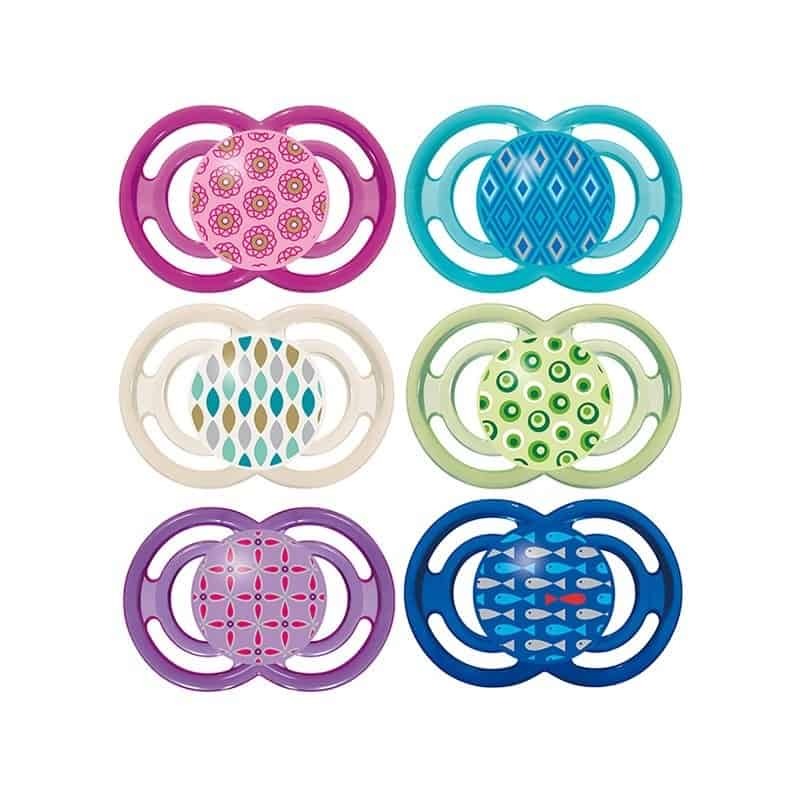 We have these teething keys which can be cooled in the freezer for when teething is especially bad. My little ones have always loved them and they are for more suitable than icing babies real keys to play with. I cannot recommend carrying around a small pack of flash card enough. Learning things like letter sounds, Phonics and blending is best done in short bursts, like when you are out and about and have to keep your little ones entertained, say when waiting for food in a cafe. I taught my children to read this way and it made things so much easier. For more about helping your children learn to read, check out this blog post about helping your children learn to read. I have recently discovered the BIBaDO long sleeve coverall bibs and they have become a changing bag must. not only do they cover Zara’s clothes, but they bridge the gap between Zara and the highchair tray, meaning that we avoid all of her food falling into her lap. For Bella, my older daughter, I use SillyBillyz long sleeve bibs to cover her dresses. Check out my Weaning essentials blog post for more tips about weaning essentials. As you will know if you have read my review of the EasyMat, I discovered this genius little plate when baby number 4 was 8 months old. I was fed up with Little Miss Zara throwing plates on the floor, yet didn’t want to place food onto the surfaces of less than hygienic high chairs while out and about. The answer, I discovered, it the EasyMat Mini. The suckers stick onto the tray of must high chairs, thus preventing a plate flinging situation. I now refuse to go out for food without one. You can get your EasyMat by clicking here to visit the Easy Tots website. Use code MUMOF4 to get 10% off your order! 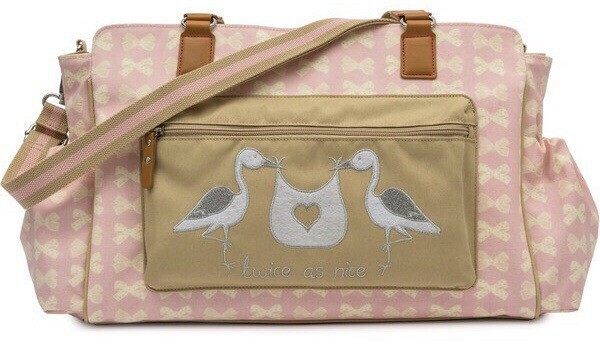 We use the Pink Lining changing mat that came with the bag, but any portable changing mat will do. Even though most places tend to have a baby changing facility, there are very few clean enough that you would want to put your baby directly on to the surface. I would highly recommend using Cheeky Wipes. They are gentle on your baby’s sensitive skin, amazing at cleanups and will save you money too. 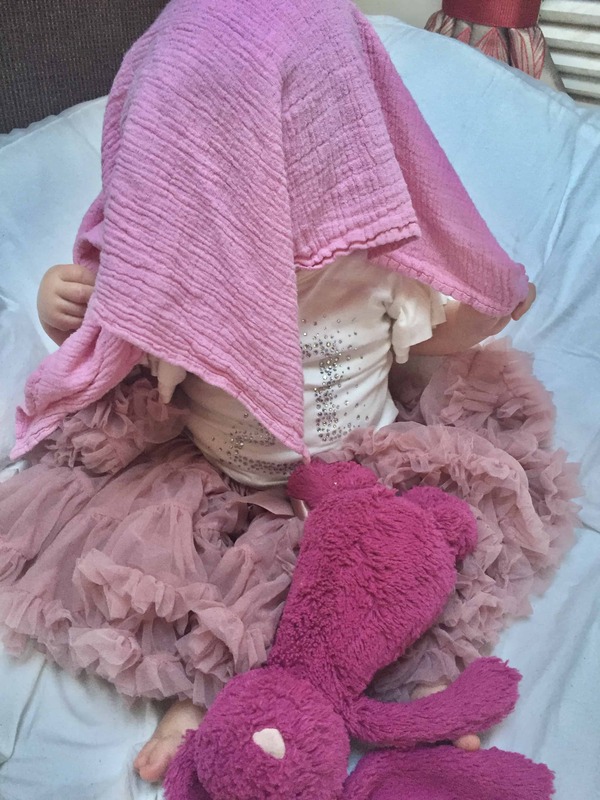 Click here to read my blog post all about Cloth Baby Wipes. If you are using cloth wipes, you will need a wipe bag. You can buy these from the Cheeky Wipes website along with your wipes. Wipe solution spray – have a look at the Cloth Wipes blog post for more information. 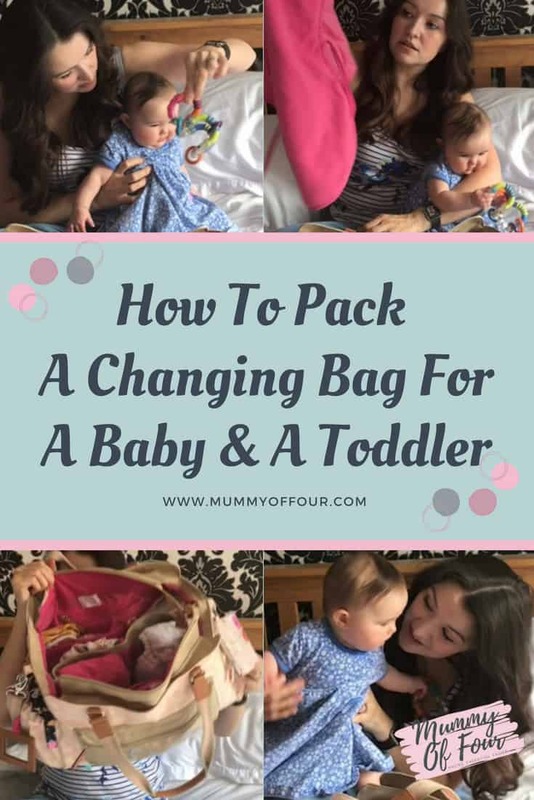 Obviously, if you are using cloth nappies or cloth wipes, you will need wet bags, but I would say that they are a great addition to any nappy bag. The CJ’s Bottom BUTTer is an absolute wonder cream. 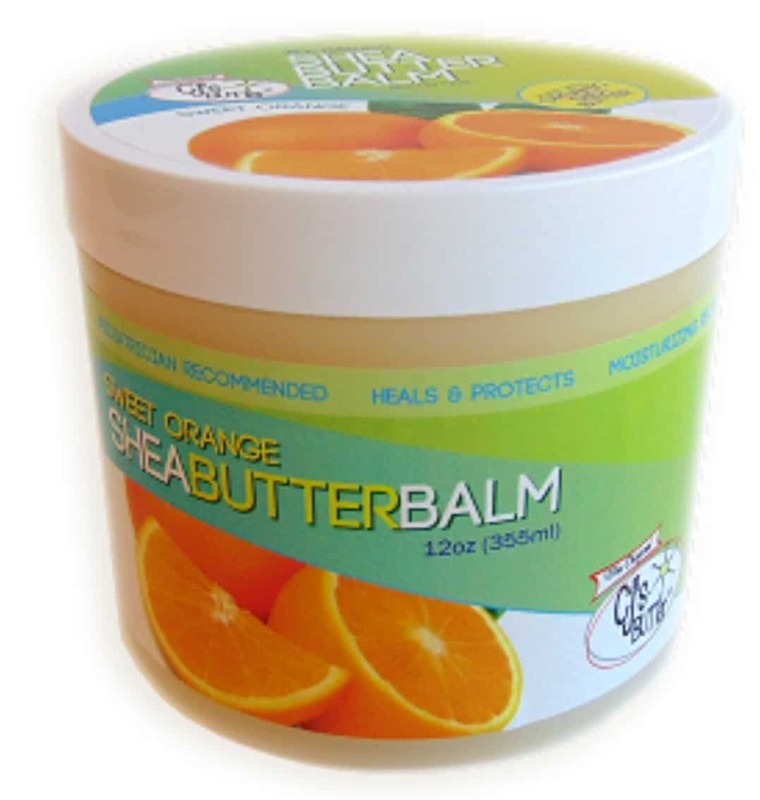 It is a cloth safe nappy cream that is also an excellent multi-purpose healing cream. A drop or two in a wet bag will cover pongs and whiffs of baby poo while out and about. I always keep some snacks in the nappy bag, not just for the children, but for me too. I cannot tell you how many times I’ve been grateful for a cereal bar when I have left the house having fed the children but have not had enough time for breakfast myself. 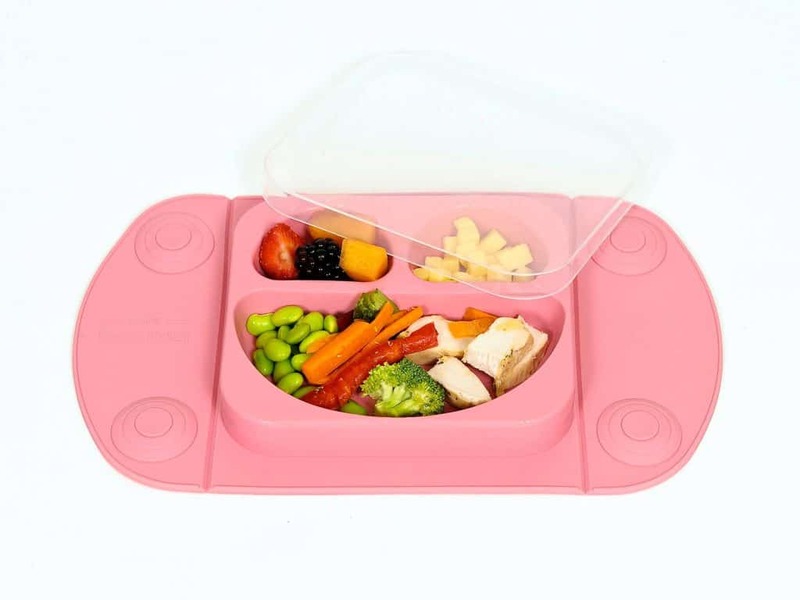 These are brilliant because they fold up really small and can be used to take away any food that you have opened for your children that they have not finished. It’s always a good idea to carry sunscreen around during th summer months for those surprise days where it was horrid when you left the house and suddenly brightens up while you are out. I love these Tangle Teezer compact hairbrushes. They are really gentle for detangling the girls’ hair, they are a nice size for the bag, plus they have a protective cover for the bristles. 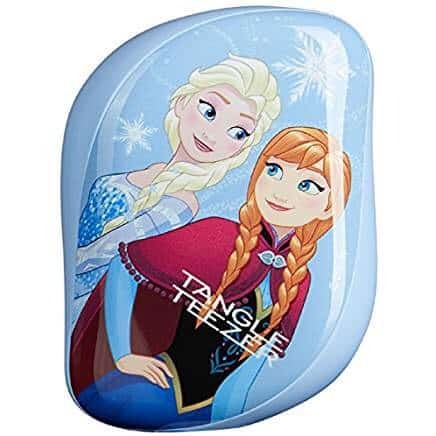 This Frozen one is very popular in our house (as is anything at all with Elsa on it). Mini make up kit – just a basic mascara, concealer pen and lip and cheek tint for those days where you have left the house in a rush and need to conceal the fact that you have been up all night with the baby. So that is everything that I carry around in my nappy bag and would recommend that you pack in yours. Click on the link below to download a checklist so that you never leave the house without the things you need again.